Summary: (from Goodreads:) Ananna of the Tanarau abandons ship when her parents try to marry her off to another pirate clan. But that only prompts the scorned clan to send an assassin after her. When Ananna faces him down one night, armed with magic she doesn't really know how to use, she accidentally activates a curse binding them together. 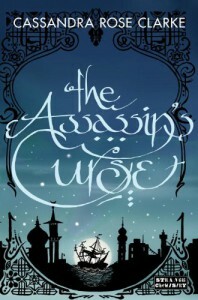 Review: How does ancient Arabia, magic, a pirate princess and an assassin sound to you? To me it sounded AWESOME!!!!! And it was a really awesome book. Not much romance as I hoped, but it didn't bother me. I like when I know something is not realistic it still seemsrealistic, like it doesn't take three days to cross the desert! It takes the time it takes and I am appreciating it. What I also appreciate is that Ananna, the main character and narrator, has a bit of a pirate jargon. Or... I don't know if I would call it that - I am not a pirate - but surdenly it is clear she ain't talking no standard English. It is the little details that makes you appreciate it more. The character's are also after my taste. Ananna is suspicious, tries to seem tough and, at many points, actually is. Naji is gloomy, mysterious and both of them are not PERFECT! I can see faults at both of them! 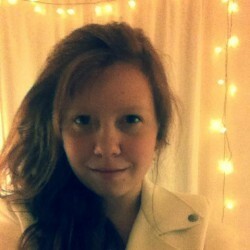 Cassandra Rose Clarke's novel is not like any fantasy, young adult romance that is so popular. Here it is more the adventure rather than the romance that is the thing you shall be looking for. But I expect some more in the next book... But not so much more.